People This morning the ASP.NET team shipped the ASP.NET MVC 3 RC (release candidate). You can download it here. Today’s ASP.NET MVC 3 RC build includes several additional feature refinements (in addition to bug fixes, tooling improvements, perf tunings, etc). This blog post covers the improvements specific to today’s release. Please review my previous posts to learn more about the many, many other ASP.NET MVC 3 features and improvements introduced in prior previews/betas. 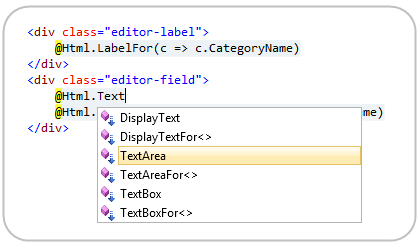 Colorization and intellisense support for Razor-based view templates is now supported within Visual Studio and the free Visual Web Developer Express. We are still doing final performance tuning on the editor (and have several optimizations that just missed today’s build). If you encounter a scenario where intellisense either doesn’t seem to work or seems slower than it should be – please send us a repro so that we can verify that our latest builds have it fixed. I blogged about a new, free, open source package manager last month - which at the time we were calling “NuPack”. We’ve since renamed NuPack to NuGet. Today’s ASP.NET MVC 3 release automatically installs it as part of the setup. There are now hundreds of open source .NET libraries within the NuGet package feed, and the list will continue to grow over time. We think NuGet will enable all .NET developers (not just ASP.NET MVC ones) to be able to more easily leverage and share functionality across the community, and make building .NET applications even better. Scott Hanselman gave the highest-rated talk at PDC this year, which he called “ASP.NET + Packaging + Open Source = Crazy Delicious”. It is a “no slides” talk that demonstrates how to code an application from start to finish using ASP.NET MVC 3, Razor, NuGet, EF Code First, SQL CE and a bunch of other cool things. I highly recommend watching it – it is both entertaining, and demonstrates how all the pieces of the ASP.NET MVC 3 stack (and especially NuGet) fit together. ASP.NET MVC has supported output caching of full page responses since V1. With ASP.NET MVC V3 (starting with today’s RC) we are also enabling support for partial page output caching – which allows you to easily output cache regions or fragments of a response as opposed to the entire thing. This ends up being super useful in a lot of scenarios. Above I’m using the Html.Action() helper method to call the SalesController.DailySpecials() child action method. Notice that I’m passing a category parameter to it above – which will allow me to customize the “Daily Specials” I display based on what types of products the user is currently browsing (that way if they are browsing “computer” products I can display a list of computer specials, and if they are browsing “baby” products I can display diaper specials). Notice how the DailySpecials method above has an [OutputCache] attribute on it. This indicates that the partial content rendered by it should be cached (for 3600 seconds/1 hour). We are also indicating that the cached content should automatically vary based on the category parameter. If we have 10 categories of products, our DailySpecials method will end up caching 10 different lists of specials – and the appropriate specials list (computers or diapers) will be output depending upon what product category the user is browsing in. Importantly: no database access or processing logic will happen if the partial content is served out of the output cache – which will reduce the load on our server and speed up the response time. This new mechanism provides a pretty clean and easy way to add partial-page output caching to your applications. With previous versions of ASP.NET MVC (including last month’s ASP.NET MVC V3 beta) you needed to explicitly call Html.EnableClientValidation() within your views in order to enable client-side validation to take place. Starting with today’s RC that is no longer required, and client-side validation (using an unobtrusive approach) is now enabled by default (you can turn this off if you want through a config setting in web.config). An additional validation feature that is new with today’s RC is support for a new [Remote] validation attribute that enables you to take advantage of the jQuery Validation plug-in’s remote validator support. This enables the client-side validation library to automatically call a custom method you define on the server to perform validation logic that can only be done server-side. It provides a very clean way to integrate scenarios like this within your client-side validation experience. ASP.NET MVC has built-in request validation support that helps automatically protect against XSS and HTML injection attacks. Sometimes, though, you want to explicitly turn off request validation for some scenarios where you want users to be able to post HTML content (for example: blog authoring or CMS content editing). 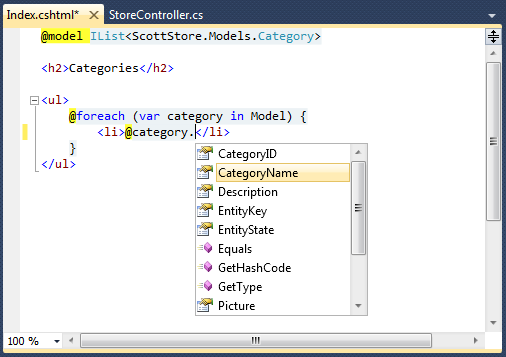 Adding the above attribute to your model/viewmodel enables you to set it once and have it apply in all scenarios. The above dialog is now extensible, and you can add additional starter templates, view engines, and unit test project frameworks to it. We’ll be releasing additional starter templates over time (that will show up in the list) to make it even easier to get up and running on new projects. A number of small, but nice, improvements have been made to the default ASP.NET MVC scaffold templates. The templates now do a better job of identifying ID/Primary Key properties on models, and handle them appropriately (for example: they now create appropriate links for edit/delete/etc). The Create/Edit scaffolds also now use Html.EditorFor() by default instead of Html.TextBoxFor() – which makes it easier for you to customize/tweak how your models are displayed. When you use the Add->View dialog box to add a view that is strongly-typed, the Add View dialog box now filters out more non-applicable types and is sorted/organized in a way that makes it easier to find what you are looking for. You can now indicate whether you want a Controller class to use session-state – and if so whether you want it to be read/write or readonly. If you do not specify a @model directive within your Razor views, the “Model” property on the page will now default to dynamic instead of object. This enables you to perform late-binding against the model type. Previously you had to add a ‘@model dynamic” to the top of the file to do this. New method overloads have been added for the LabelFor() and LabelForModel() helper methods that enable you to optionally specify or override the label text. 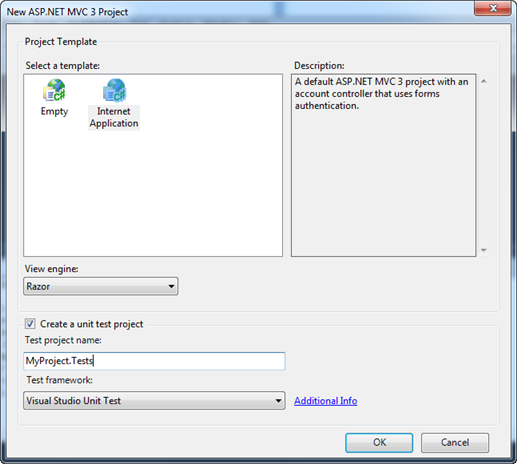 A direct link to an installer for the ASP.NET MVC 3 RC can be found here. 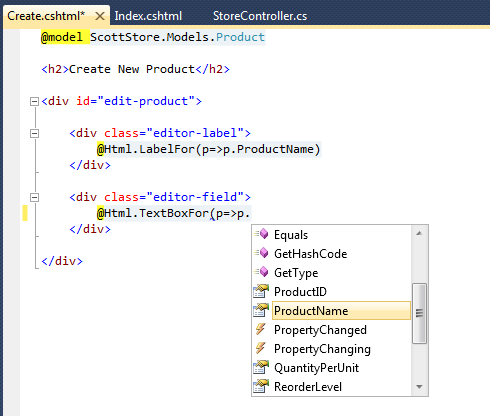 It works with both VS 2010 and the free Visual Web Developer 2010 Express. Please make sure to uninstall any previous ASP.NET MVC 3 releases you have installed on your system (as well as any previous ASP.NET Web Pages setups that you might have installed). Today’s ASP.NET MVC 3 RC build contains a bunch of goodness that makes web development with ASP.NET MVC better than ever. If you have questions or suggestions about the release, or find issues/bugs with it, please post them to the ASP.NET MVC forum on www.asp.net. The ASP.NET MVC team monitors this forum closely and will be able to help. We plan on spending the next few weeks monitoring feedback, tuning performance, and fixing the final set of bugs. Thanks in advance for any issues you send our way!